You are here: Home / Architecture / Plano 75024 and Frisco 75034 share a lot of things besides their city limit lines! Plano 75024 and Frisco 75034 share a lot of things besides their city limit lines! Needless to say there are a lot of things that both share but the one I was thinking about is what I call LUXURY AUTO ROW DEALERSHIPS. Before we delve into the logistics of who’s who and where their at location wise and this will include Plano’s zip code 75093 also …… just a little sidebar of what’s happening traffic wise in the heart of the luxury auto row dealerships in Plano and Frisco. MAP of dealershps in Plano. 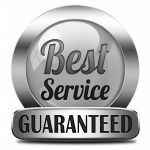 NOTE: All major car dealerships in Plano and Frisco will be noted in this blog not just what is generally acknowledged as luxury car marquees. They include all the major luxury international marquees from Mercedes Benz to Ferrari and all the other players in between which also include domestic car firms such as Cadillac and Lincoln. Plano recently experienced a move by Mercedes Benz of Plano from Plano Parkway just east of Ohio to a major new dealership facility located at 6455 Dallas Parkway just south of Spring Creek Pkwy Plano 75024 (and even though the Buick and GMC dealership right next door to MB Plano is what one would call a luxury car/truck brand you’ll find Ewing Buick and GMC at 6425 Dallas Pkwy) with the other major German luxury car company BMW’s dealership Classic BMW located at 6800 Dallas Parkway. If you take these two luxury auto dealerships, as kind of the epicenter of luxury car dealerships in Plano and Frisco, and draw a radius circle of five miles or so right at Spring Creek Parkway and Dallas Parkway you’ll find about every international and domestic luxury car that your wants might desire. 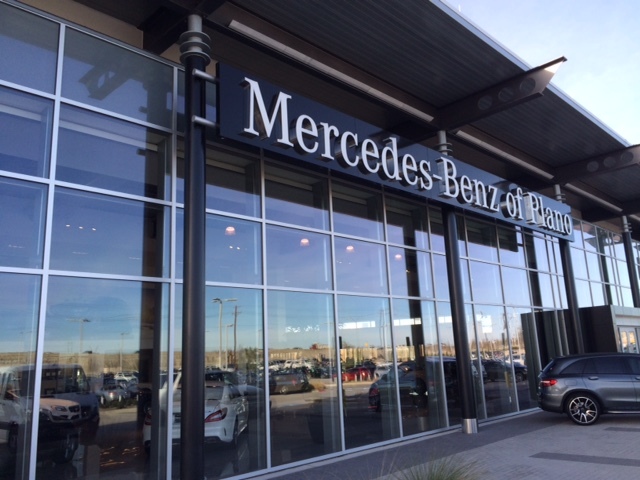 In fact just north right next door to Mercedes Benz of Plano you’ll find Park Place Lexus at 6785 Dallas Parkway. And if you go back south on Dallas Parkway just the other side of MBPlano there will be Classic BMW at 6800 Dallas Pkwy (even though the main entrance into the dealership and showroom is actually on Spring Creek Pkwy . Going back south on the DNT to the east side of Plano Pkwy you’ll find Audi Plano @ 5930 Plano Pkwy and right next door is Porsche Plano @ 5924 Plano Pkwy and do a quick U-Turn and head back west to the other side of the DNT and there will be Boardwalk Ferrari and Boardwalk Maserait @ 6300 International Pkwy. The Boardwalk Auto Group is owned by Scott Ginsburg who made his monies in the radio broadcast field originally and upon selling same founded the Boardwalk Auto Group. Audi Plano had originally been owned by the Boardwalk Auto Group but a couple of years ago sold Audi Plano to Auto Nation and also Porsche Plano to Auto Nation. The remainder of the luxury auto dealerships in Plano lie further east on Plano Pkwy between Ohio and Independence and along Coit just north of Plano Pkwy. Some of these dealerships are mainstay American car companies but have certain models in their mix that in my opine are considered luxury autos. Along the Plano Pkwy corridor just east of Ohio you have the locale of the original MB Plano and Ewing Buick-GMC dealerships which have been taken over by upscale dealerships dealing in used foreign and domestic luxury autos and trucks such as AUTO MERCHANTS which is in the old MB Plano dealership site and Auto Web Expo with a satellite sales site in the old Ewing Buick used car lot on Plano Pkwy. And rounding out this stretch just to the west of these two dealers is Subaru of Plano and Huffine Chrysler Dodge Jeep Ram. To complete the Plano auto dealerships we turn back east on Plano Pkwy after the AUTO MERCHANTS locale at 4464 Plano Pkwy and you have CARMAX Plano followed by Park Place Jaguar (which will be moving to Grapevine in the next year or so to be with its sister dealership of Park Place MB Grapevine and as a sidebar I’ve never understood why PARK PLACE MOTORS wouldn’t move the Plano Jaguar dealership to the DNT next to its Park Place Lexus dealership at Dallas Pkwy and Spring Creek). So the final leg going east on Plano Pkwy starts with Five Star Ford Plano, Herring Mitsubishi, McDavid Acura and the farthest east on Plano Pkwy is David McDavid Lincoln. And the final stretch of Plano dealerships is on Coit Rd just north of Plano Pkwy with Huffines Chevrolet and Huffines Hyundai. And before we go to north of SH121 for the Frisco dealerships in zip code 75034 we have one last dealership to note and that’s Toyota Plano which will be moving its dealership from Preston Rd 75093 to be next to Toyota North America Headquarters in Legacy West on the Plano side of SH121. And finally the only dealership on Dallas Parkway (actually the service road for the Dallas North Tollway) is Mini of Plano @ 1645 Dallas Parkway immediately south of Costco. Moving to SH121 at Preston Rd and west to Legacy Dr you’ll find 99% of the car dealerships in Frisco on this stretch of SH121 starting with David McDavid Honda at Preston Rd with Auto Nation Ford next door. Going on further west is Crest Nissan, Crest Infiniti and Crest Cadillac and the lone ranger without the name Crest in front of it is Hendrick VW. The only car dealership in Frisco not on this stretch is Land Rover Frisco which is on Preston Rd @ Lebanon. TAKEAWAY: So within reason any luxury auto one might like to partake of is available in Plano or Frisco. But if your taste is toward Aston Martin, Bentley, Bugatti or Rolls Royce you’re going to have to journey south on the DNT to Dallas. There you’ll find Aston Martin Dallas at 5333 Lemmon Ave, Bentley Dallas at 5300 Lemmon Ave Note: Bentley Dallas is one of many dealerships owned by Park Place Motors as in Lexus Plano, Buggati Dallas also at 5300 Lemmon Ave and you’ll notice a common address of two other high profile luxury autos and that being Rolls Royce Motor Cars Dallas at 5300 Lemmon Ave.